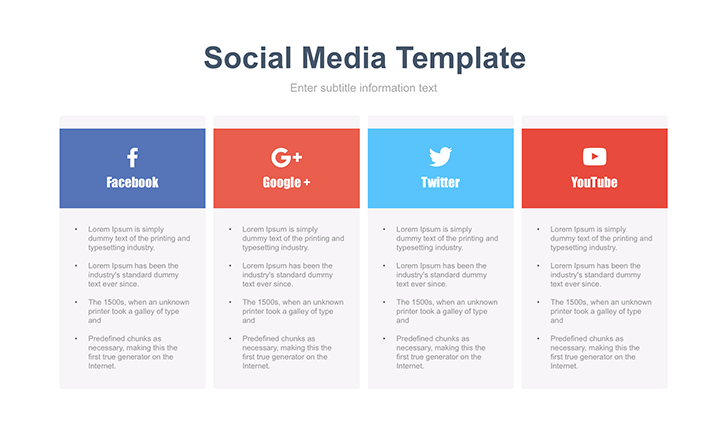 Presentation Social Media for Google Slides - Free Download Now! What is the slide for? Digital marketing is a way to promote your business with digital technology. This notion is closely connected with Internet marketing, so these concepts are frequently confused. Unlike Internet marketing that is focused only on the advertisement on the Internet, Digital marketing uses other resources – radio, television, outdoor advertising, etc. Therefore, to keep pace with modern technologies, we introduce to you Presentation social media. Wide audience coverage. Millions of people use the Internet, interactive television, have accounts in social networks. Digital marketing distributes information about your offer on all these channels. Digital marketing allows not only to advertise goods and services, but also to establish contact with the audience. The ability to identify the target audience and send a marketing campaign to it. It is convenient to monitor analytics. You can test different approaches and find out what works and what does not, adjust the marketing campaign. creation of inexpensive and at the same time effective solutions for the promotion of goods and services. 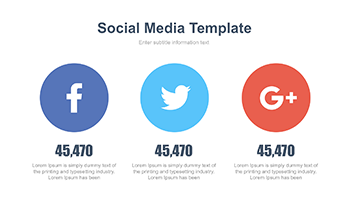 On the social report template, you can see four columns with main social media: Google+, Twitter, Facebook, Youtube. 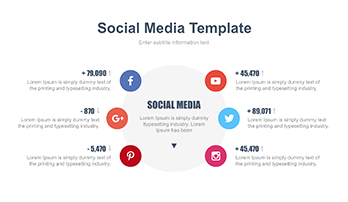 This table allows briefly and clearly presenting the results of marketing campaigns. The template is well-equipped with modern built-in tools and useful elements. These tools make work easier, quicker, and convenient. The structure of the slide helps to express information logically, follow the topic coherently. The design of the slide is minimalistic, so it can be used in various projects. High quality. Choosing this template you can be sure that your work will be safe and convenient. You won’t have visible defects and problems with its quality throughout the entire work with it. The slide remains perfect quality if you display it on high-resolution screens. Built-in tools. All vector elements such as colors, shape and others are easily edited in a few clicks. An easy-to-use ready-made template. Working with this slide, you will save time and simplify your working process. Besides a high-quality slide, you’ll be highly estimated by the listeners and management. A multipurpose slide. Presentation social media is a useful tool for any SMM manager. 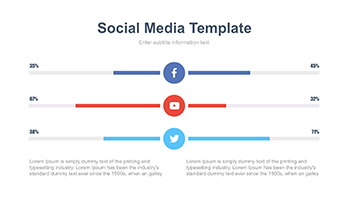 The template is widely used for reporting. If you have to present how money for marketing campaigns has been spent, the results of your work, this slide is perfect for you.